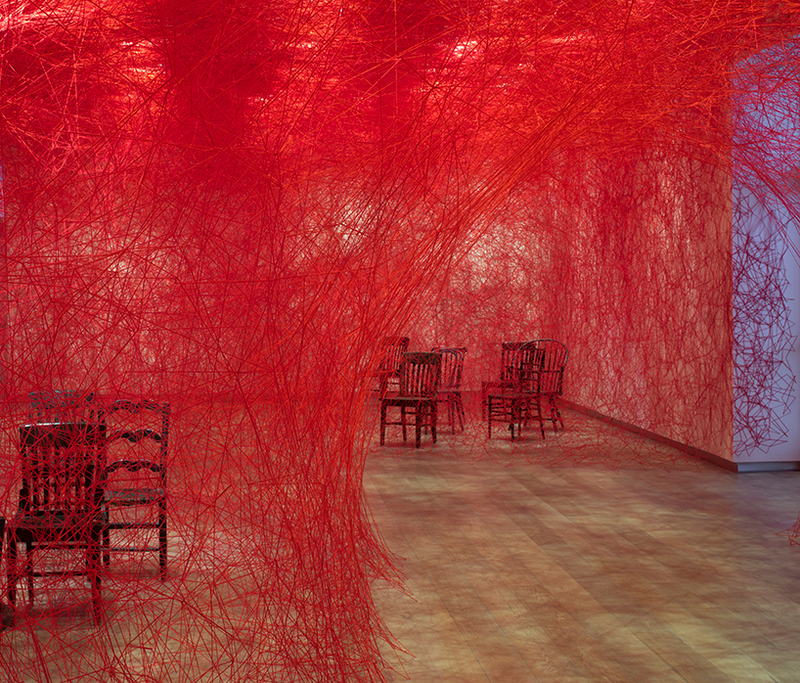 chiharu shiota is a japanese installation artist whose work links various aspects of art performances and installation practices. 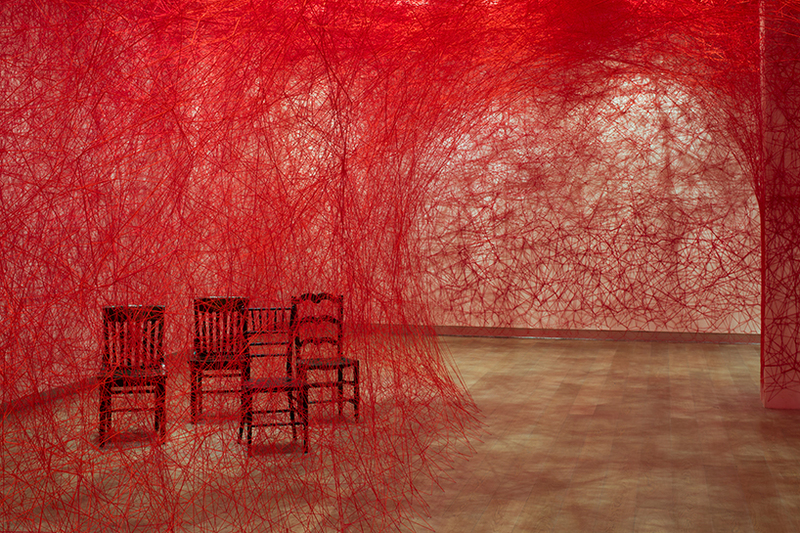 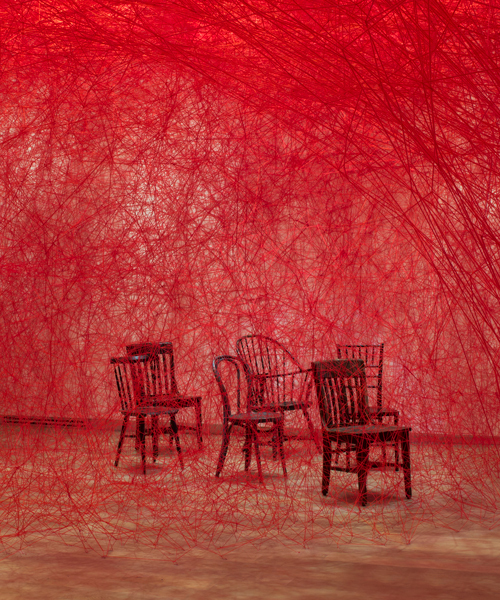 best known for her vast, room-sized webs of threads, shiota links abstract networks with concrete everyday objects such as keys, windows, dresses, shoes, boats and suitcases. 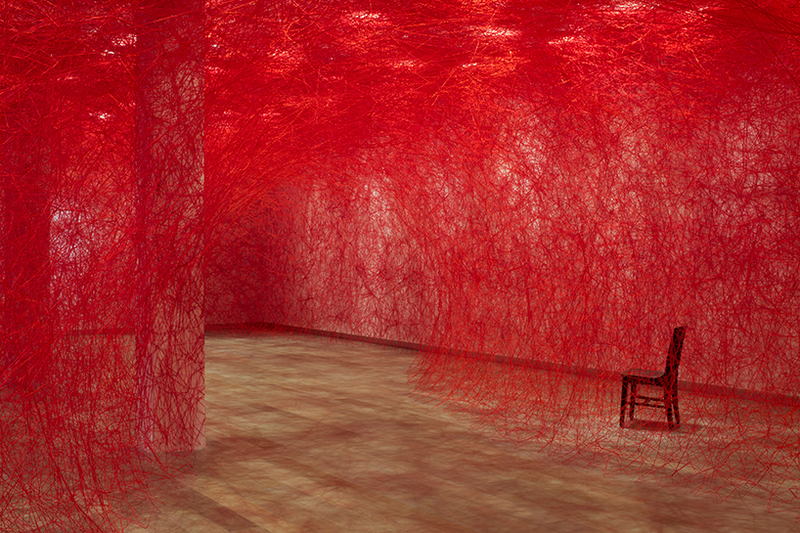 the latest of chiharu shiota’s self-described ‘drawings in space’ overflows within the SCAD museum of art’s gallery space, immersing visitors in a labyrinth of red yarn. 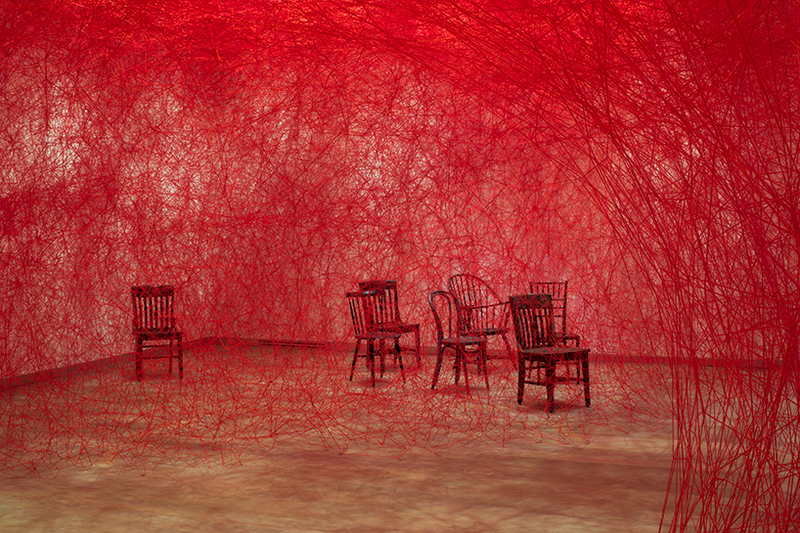 from now through august 6th, the site becomes a expansive entanglement of carefully intertwined thread, forming an all-embracing cocoon of vibrantly-colored matter. 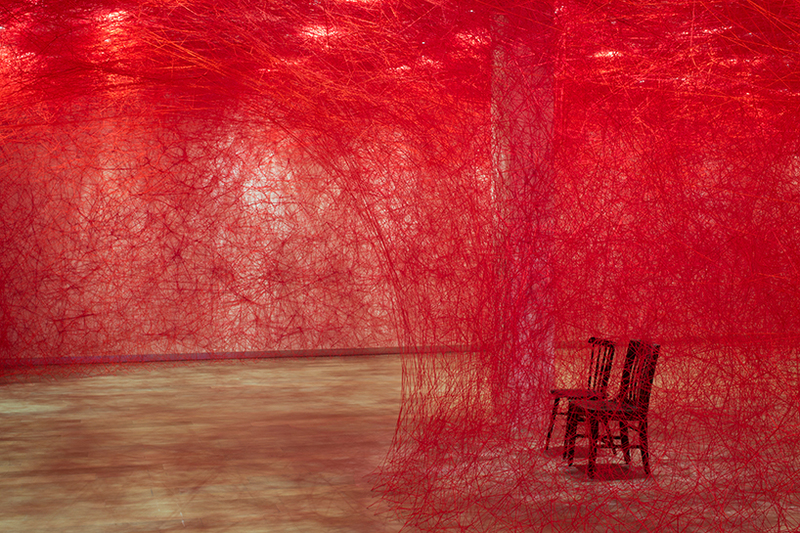 within the woven wilderness, a collection of aged objects are placed throughout, leading viewers to question their origin and their meaning within the space. 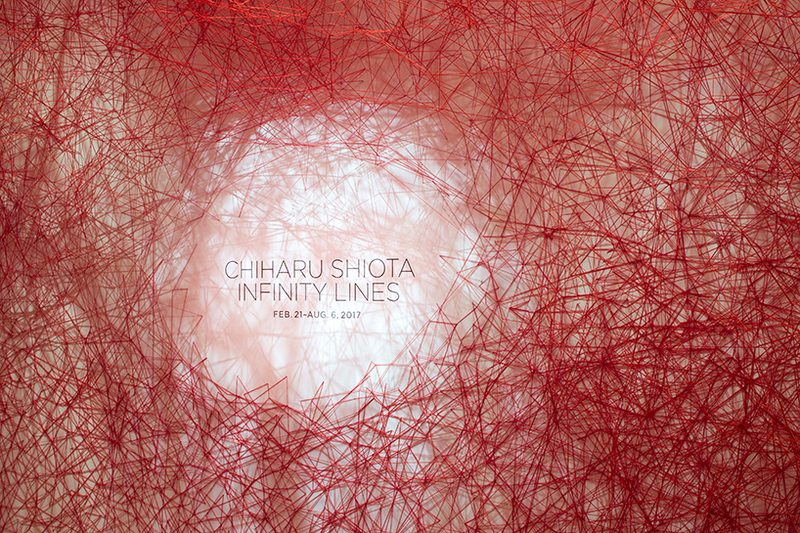 the exhibition ‘infinity lines’ expands on shiota’s broader practice and explores the interconnectivity between possessions and the narratives they hold.